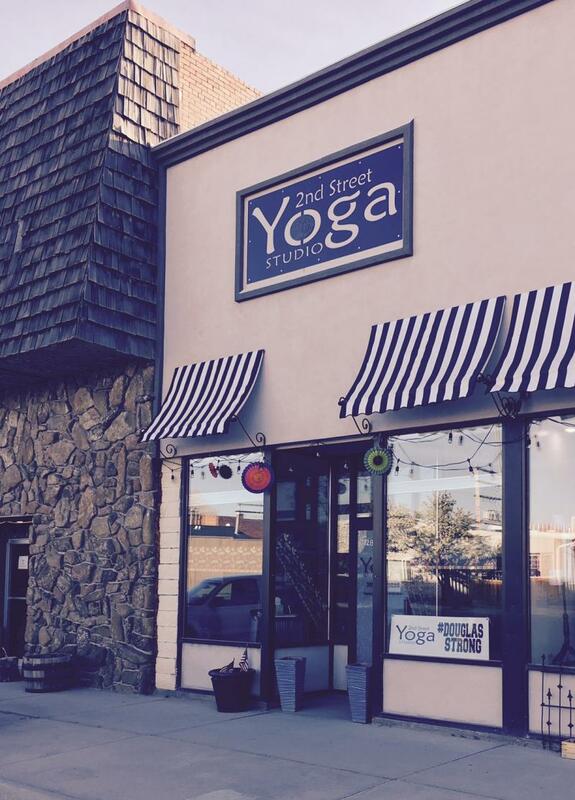 In the heart of downtown Douglas, our quaint studio hosts a variety of classes! Leave your worries at the door and join our Yoga Tribe! We invite you to share a cup of coffee with us! Come wake up that body. Expand, explore, energize, and ground. Your instructor will help guide you to be present through yoga postures, standing, seated, balancing and inversions, as well as pranayama (breathing) peppered with yoga philosophy. For the Intermediate/Advanced Yogi who has spent time building a yoga foundation. Expect to leave this class stretched, strengthened, and dripping with sweat. Come and meditate on the word with Kathie! Worship warrior provides a space and time for those seeking a class with a Chrisitan backbone. New to yoga, or need to brush up? In our Gentle Yoga classes, you’ll get the hang of foundational poses and sequencing to inspire confidence before joining any class you wish. This 45 minute class is for seniors or if you are injured, to improve flexibility, restore balance and strengthen the body as a whole. Chairs are offered for those who can no longer get on the floor. We work on balance and strengthening our bodies, as well as range of motion within the joints. Mend movement and breath for the ultimate mind-body practice. Whether you get sweaty or go mellow, you’ll leave feeling stronger, more flexible and balanced. Quiet your mind while participating in various asanas which are held for an extended period of time. Yin yoga helps lubricate the joints, break through fascia and increase flexibiliy. Give one of our Yin Yoga classes a try. out of poses. Utilizing Sun Salutations, strength building and connected movements, Vinyasa Yoga will build confidence and help you stay present and centered. Hot Vinyasa is done in a room heated to 85 degrees Fahrenheit. Fusing between Vinyasa and Hatha this class is designed to finish your work day with fun and challenging movements. The class will end with 20 minutes of cool down and deep stretching. This fast moving vinyasa style class incorporates strength and balance. Join Sean Lehnen as he guides the class through a sweat induced 60 minutes. A Mat based class for your mid-day. The week-end warrior class will help give you flexability in a safe and comfortable environment.